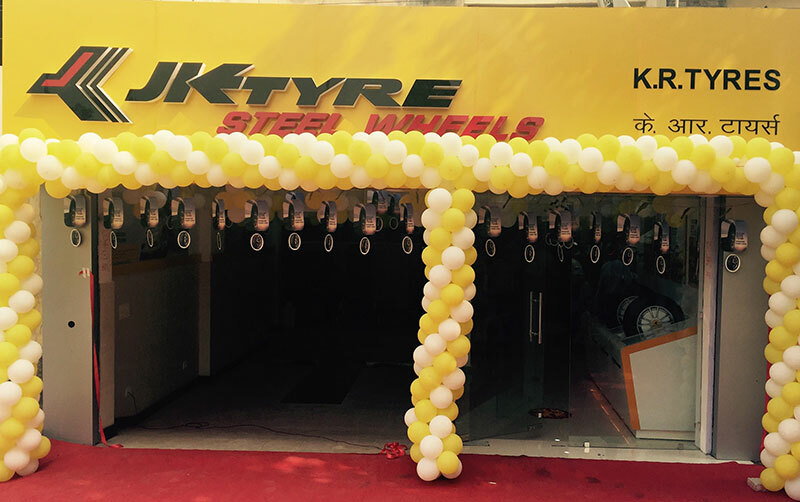 Further strengthening its presence in the NCR, JK Tyre & Industries Limited today launched new Steel Wheels showroom at Harinagar locality. The new showroom underlines JK Tyre’s aggressive expansion plans across India. In the last two months, the company has launched new Steel Wheels showrooms in Rajasthan, Jammu & Kashmir and Maharashtra. JK Tyre Steel Wheels are one-stop shops introduced with a purpose of offering complete umbrella of quality tyre-specific services. Spread over an area of 800 square feet, the new Steel Wheels showroom showcases JK Tyre’s new retail identity for its exclusive stores. The ambience of the store is designed in a manner that makes buying new tyres, alloys and accessories a complete factual experience for consumers. The display and information kiosk help consumers choose the most suitable product for their vehicle. All JK Steel Wheels showrooms are equipped with modern features such as wheel servicing equipment, computerized wheel alignment & wheel balancing, automated tyre changing, nitrogen inflation and air care in addition to offering the complete suite of JK Tyre products. The discerning consumer of Delhi expects much more than a great product. They need confidence that a brand cares for them after selling the product. So we are extremely thrilled to enhance our reach here with the launch of the new Steelwheels showroom. With this new facility, consumers can avail our world class products of quality and assurance in accordance with their preference and liking. At the inauguration ceremony, K.R. Tyres’ Mr Ajay Pal and Mr Sanjay Kumar, expressed their delight on the dealership’s association with JK Tyre & Industries Ltd, one of India’s preferred tyre manufacture. JK Tyre, in its commitment to get closer to its consumer, is increasing its presence with new and high tech service centres across metro cities as well as the hinterlands of the country. In addition to passenger car tyres, JK Tyre also plans to extend its nationwide network of retail outlets and service outlets for trucks. In India, JK Tyre’s nationwide network comprises of 143 selling locations, 4,000 dealers and over 120 retail outlets which are branded as ‘JK Tyre Steel Wheels’.